Tomorrow (April 5th) marks the beginning of baseball season! We have come to love baseball more and more each season that comes our way. Yes, Yes...it is a LONG season, the games themselves are lengthy and the games really don't matter until later in the season, but all of that being said - we really enjoy following the games, teams, players, trades, injuries and so on - all season long! 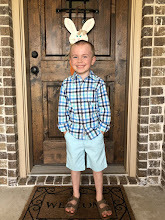 Besides all of that - it's nice to have something to fill the football void in our lives! Of course we have a good time enjoying the game plus nothing beats ballpark food! 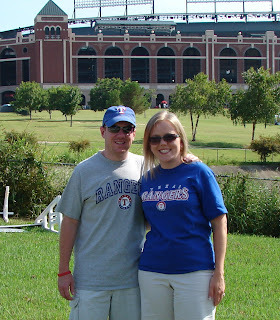 We are looking foward to going to a couple of Ranger games this year. 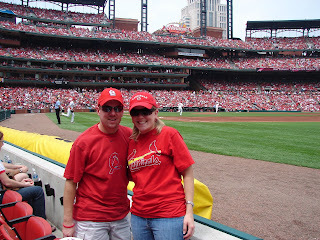 In May 2007, we took a trip to St. Louis to watch our favorite team...the CARDINALS! We had SO much fun on that trip, enjoyed all sorts of "touristy" things and also had a blast at the game (even though they lost - BAD!). It's a long story, but we ended up sitting in seats really close to first base even though we had purchsed tickets in the outfield - it was awesome! Spring is in the air and baseball season is upon us....batter up!